The history of just-world research is almost 50 years old and still shows continuously increasing publication rates. In these 50 years, two clearly different phases can be distinguished. 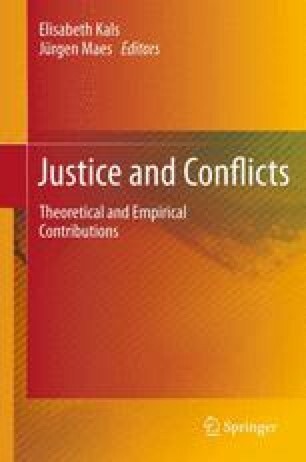 Up to the end of the 1980s, studies predominantly concentrated on the effects of just-world beliefs (BJW) on victims of injustice, misfortune or failure. These studies portrayed BJW as an anti-social trait which makes people prone to disdain their fellow people, to exclude minorities, to devalue innocent victims and to pursue them with blame and reproach. Since more than 15 years ago a distinctive change can be observed: From then on, studies have concentrated on the positive functions of BJW. These more recent studies present BJW as a personal resource which subserves people in manifold ways in everyday life: It allows individuals to invest time and energy in long-term goals and future-oriented activities, it facilitates the development of trust in other people and society, and it provides a conceptual framework which helps to find meaning in the events of life. These different findings involve rather different explicit and implicit valuations of the just-world phenomenon. While it seemed reasonable in the first phase to view BJW in a negative light, to advise against it and to restrain its detrimental effects, the phenomenon is judged much more positively in recent years, its benefits are highlighted, and its promotion is considered. The current paper attempts to combine the two perspectives again: The originally observed rather detrimental effects should not be forgotten when looking at the more recently found rather positively connoted effects. Both might be two sides of the same medal: It is just because BJW has so manifold positive functions and can be used as a personal resource that individuals are so reluctant to give it up only because of contradicting evidence in everyday life. We illustrate the connection of these two sides with data from three studies including the formerly used variables as well as the more recently considered variables.